MONSTA X will perform at Espaço das Américas on July 19. One of the top names in Korean pop music, MONSTA X will return to Brazil in 2019, almost a year after their first stop in the country. 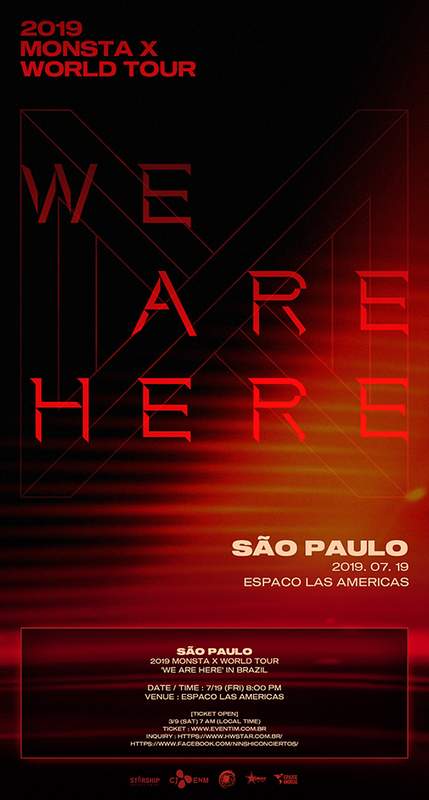 The concert will take place on July 19, at Espaço das Américas (Rua Tagipuru, 795 - Barra Funda), in São Paulo, and is part of the world tour "WE ARE HERE", worldwide tour following the release of the group's third studio album, "Take.2 We Are Here". Minors of 14 years will have authorized entry only accompanied by parents or legal guardians. Online sales will be also available through the Eventim app. 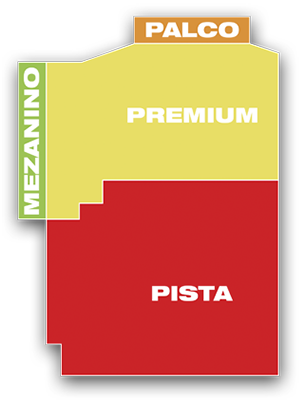 Point of sale with no convenience fee between March 9 and 12 and on the day of the event (19/07): Bilheteria Espaço das Américas (Rua Tagipuru, 795 - Barra Funda). Open from Monday to Saturday, from 10am to 6pm. Eventim Call Center: by email atendimento@eventim.com.br or by phone 4020-0084.